Maya Angelou was an American author and poet. She received over 50 honorary degrees, and is best known for her autobiographies that focus on her childhood and early adulthood. In this video, Angelou talks with comedian Dave Chapelle. Maya Angelou story recalled by Frederick Buechner talks about the time when he was at a religious occasion at Trinity Church on Wall Street in New York City when the author told him how the extravagant religious procession made her want to laugh into a barrel. Angelou passed away on May 28, 2014. 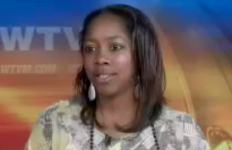 Janell J. Lewis, a reporter who has met author Maya Angelou on a number of occasions, discusses Angelou’s “tough” personality and inspirational inner strength. 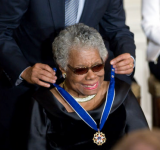 Lewis describes Angelou as a “Renaissance woman” who lived through an incredible life story. Angelou passed away on May 28, 2014. The great Maya Angelou tells Oprah about wisdom and the power of “no,” and how everyone needs to find a place in themselves that is theirs. Beloved author, poet, and teacher Maya Angelou describes the magnificence of her mother, even though trying to describe her mother is like trying “to write about a hurricane in its perfect power.” Angelou recalls one time in particular when her mother saved her from an abusive relationship. Maya Angelou, beloved author, poet, and teacher, explains how she positively affects youthful generations around her teachings, writings, and lessons in general. She’s inspired a number of people such as Richard Pryor, Chris Rock, Dave Chappelle and, this one time, even Tupac.